A great deal of people may never clean their sofas and upholstery, and therefore, they are sitting in grit, dirt, pollutants and dust mites. 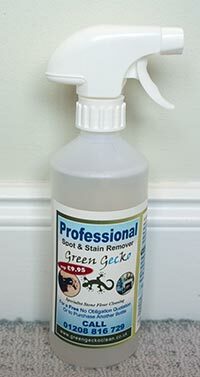 Green Gecko will clean the entire upholstery of your sofa and chairs; sides, backs and cushions. 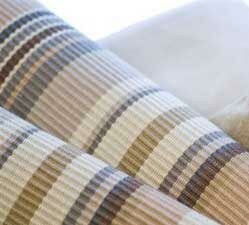 Periodic cleaning will ensure that upholstery life is drastically improved. The quality of the environment in which you and your family live in is enhanced. The removal of dirt, allergen, dust and other particles will benefit everyone in your household. If your sofa and chairs are looking a little tired, the best way to bring them back to life is to get them cleaned by a professional. "An effective microsplitting and stain remover, leaves no sticky residues, will NOT bleach, enzyme free and odourless. Safe for washable carpets and upholstery." We test for colour fastness and shrinkage before we commence cleaning. Your Upholstery is pre-vacuumed as this prevents loose soiling having been carried into the fabric which is a major cause of re-soiling and premature wear. Any spots and stains are treated. Any spots and stains are treated as necessary with our micro splitters and stain removers. The upholstery is now carefully deep extracted using the latest upholstery hand tool. If required the upholstery can be protected with Protect Nano, this protects against spills and makes subsequent cleaning easier, preserves the appearance and extends the life of your upholstery.